Send wishes of health; happiness to loved ones, friends and business associates this Chinese New Year with our 喜气洋洋 Xi Qi Yang Yang Premium Gift Set! 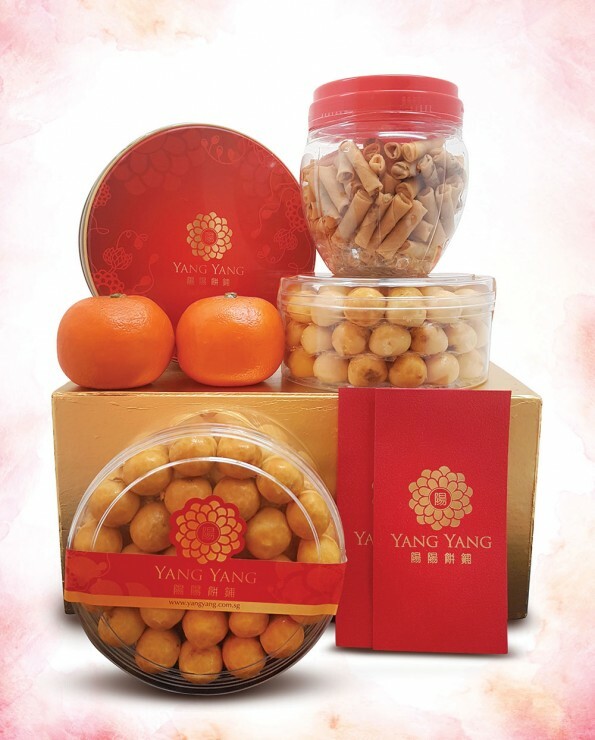 The set contains 1 Pineapple Tart, 2 Cookies, 2 Prawn Rolls and 1 auspicious zodiac soft toy – all wrapped up beautifully in a gold box. Send wishes of health & happiness to loved ones, friends and business associates this Chinese New Year with our 喜气洋洋 Xi Qi Yang Yang Premium Gift Set!